The common name of Japanese anemones is the windflowers. The Japanese anemones, are a herbaceous perennial and a member of the buttercup family. They grow dormant in winter and in spring, the plant displays large attractive dark green divided leaves. Flowers form from late summer through to autumn displaying their poppy like flowers adding lots of colour to the garden. They are a lovely versatile plant that can be planted as garden borders or used in garden beds, but should always be planted in shady areas of the garden. The plants grow to a height of 1 to 4 meters displaying tall spires of high class open faced flowers, flowering high above the foliage in pink, white, or lavender flower colours. 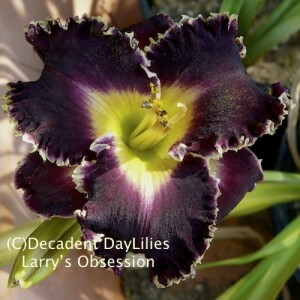 The flowers display a large amount of orange yellow stamens around fresh light green raised centres. The flowers are delicate and are held on wiry stems, these flowers dance in the wind and hence the common name Japanese windflowers. The hybrids are single white flowers or pink with 5-6 cup shaped petals or double layered pink and sparkling white double varieties that all make fabulous cut flowers. The clump forming perennial develops underground runners which can be divided to produce new plants. The best time to divide the plant is during spring when new growth of leaves appear. 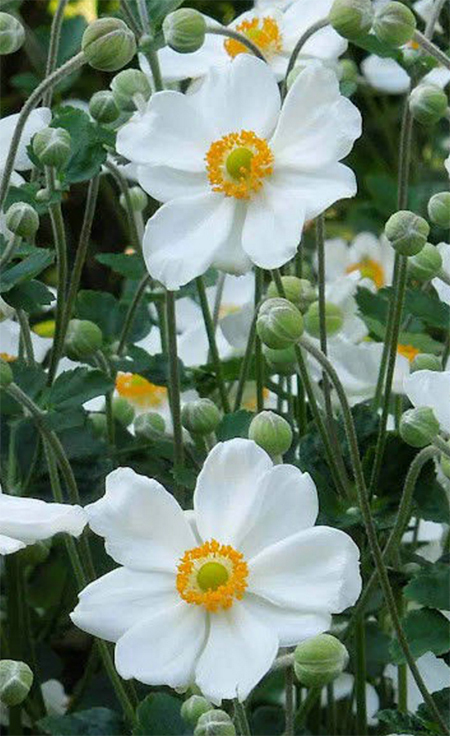 Japanese anemones need well drained and fertile soil to grow and flower well. The windflowers need moisture in the soil at all times until they are established and mulching is necessary to protect the plant during the winter months. Waterlogged conditions are not suited to anemones in winter. They perform poorly in drought and windy conditions so water them well during dry hot weather. For good flowering dappled or filtered light is recommended, they also perform well in partly shaded areas so protect the plants from the hot summer sun, you can even grow them under trees. Once established the plant can withstand up to –200 C. In colder areas, it is better to plant them close to building for protection from cold winds. These plants spread easily and once established you may want to get rid of some plants. You can buy the plants from your local nurseries or can use the divisions available from friendly gardeners or neighbours. The best time to plant them is after the frost in spring. Make sure that you are planting them in soil rich in organic matter. You can use garden compost or farmyard manure to add to the soil so that the soil will be able to retain air and moisture in summer and will drain properly in the winter. Make sure that you maintain a gap of 1-2 feet between each plant. They need regular watering during the first growing season. Tall varieties require staking to maintain the plant. Windflowers make great companion plants, planted amongst Hostas and Hellebores. The best way to propagate the plant is by division of the underground runners. You can dig out the plant during spring and divide the runners so that you will have a fist-sized sections to plant. Replant them in prepared beds. Once established, they do not need much watering and all you need to maintain the plant is to remove the dead leaves and spent flower stalks. Cut back the plant to the ground level after the frost kills the plant. The plant will produce more number of flowers in the second year and in the subsequent years. This plant requires very little fertilising, if planted in soil rich in organic content. You may have to apply general fertiliser for plants grown in poor soil to increase flowering. The most common pests are caterpillars and snails. They are resistant to rabbits. The common diseases affecting this plant include, powdery mildew, rust and downy mildew. I am desperate to grow these beautiful flowers. I first saw them in England when I was quite young before we moved from France to Australia. We live in Sale Vic. which is a rather cold climate in winter.